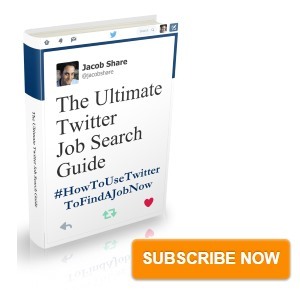 Many recruiters prefer one page resumes, so use yours most effectively. The one page resume portfolio is a 6-panel pamphlet that shows your resume when folded and your work portfolio when unfolded. Front view of the resume portfolio, slightly open. You can see the designer's logo and contact information. Notice the vertical bar on the right side of the inner panel, where the text reads “curriculum vitae” with a right arrow and “portfolio” with a left arrow pointing inside. Partially-open view of the portfolio. If you followed the left arrow and continued unfolding, this is what you'd see before you're done. The panel with the arrow bar folds outwards, meaning that there's actually more room for portfolio highlights inside. Resume details. 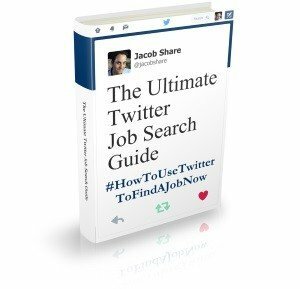 Following the right arrow will have you flip over the pamphlet, leading to the actual resume content. The front panel should contain your personal logo or monogram and contact information at a glance. An attractive image that continues off one panel will encourage the reader to unfold until they can see the entire image. Above, the French designer used that effect to lure the reader to see both resume-related panels together. The 2 configurations that work best are the pictured 4:2 portfolio to resume panel ratio with arrow bar and the 3:3 “resume-outside portfolio-inside” ratio. You need a history of school, volunteering or work projects before you use this design. Substituting with content that isn't yours but that you're “capable of creating” defeats the purpose and looks amateurish. Don't send your one page resume portfolio over email or the Web; it works best live when people can hold it and unfold it, like in interviews or at professional gatherings and networking events. If you're planning to leave the resume portfolio on display e.g. in a meeting room, the front panel should be particularly eye-catching to make people want to pick it up and open it. 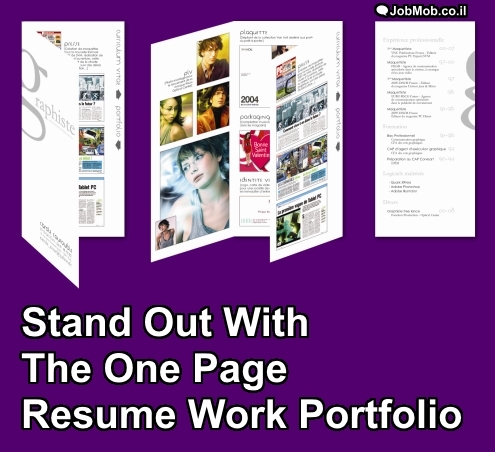 Use the resume portfolio to complement your “full” design portfolio whether physical or digital. For the former, you might consider a sentence about what else not pictured is in your portfolio. For the latter, give all pertinent links. Great design is the best combination of trade-offs for a certain context. If you use it wisely, the one page resume portfolio could be a valuable tool in your hunt for new design jobs. Why would you/wouldn't you use this technique? Tell us in the comments. A version of this article appeared on Jacob Cass's wonderful Just Creative blog.